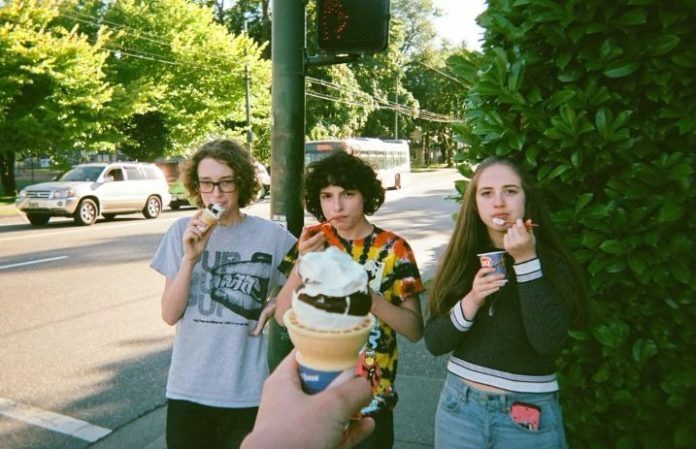 Finn Wolfhard's band, Calpurnia, shared their debut single last week, and it turns out they're writing lots, too. In a new interview with Beats 1, Wolfhard talks more about his band's beginnings, love for music—and their ease with writing, too. “We're all writing constantly. We all have this big Dropbox and group chat of riffs and stuff,” he explains. “We’ve all written a bunch of different new songs hopefully for the next thing. It’s so easy. The band's debut song “City Boy” debuted at No. 23 on the Alternative Digital Song Sales chart. The music news source explains that the song sold 2,000 digital downloads after just two days of sales. The track is the first single taken from the band's self-titled debut EP, out this spring. Of course, he’s not the only Stranger Things actor with some serious vocal power. Steve Harrington aka Joe Keery was in the psych rock band Post Animal, who recently announced their forthcoming debut album, When I Think Of You In A Castle. Plus, Gaten Matarazzo (aka Dustin) is proving his musical chops in his band, Work In Progress, who covered Fall Out Boy, Paramore and more.